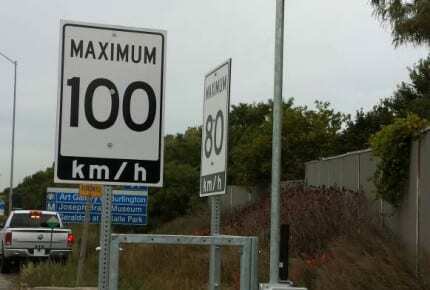 Burlington Skyway Bridge, ON - Versilis inc. 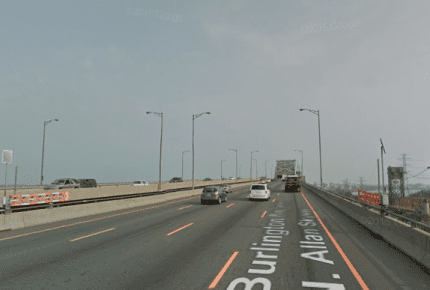 The Burlington Skyway is a pair of high-level freeway bridges located in Hamilton and Burlington, Ontario, Canada. 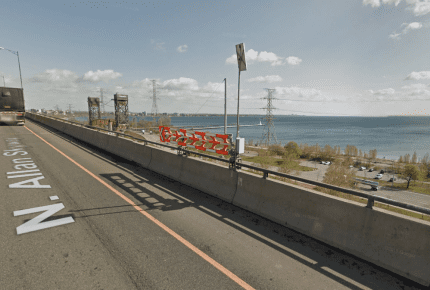 The Skyway, as it is locally known, is part of the Queen Elizabeth Way (QEW) highway linking Fort Erie with Toronto. In 2013 the MTO awarded a painting contract to Harrison Muir Inc. which mainly involved applying structural paint to the bridge. As part of this project the contractor had to setup large scaffolding which in high winds created a sail effect that put too much stress on the bridge. To reduce the load during high winds, it was decided to use gates to close the right and left lanes of the bridge, leaving only 2 center lanes open to motorists. 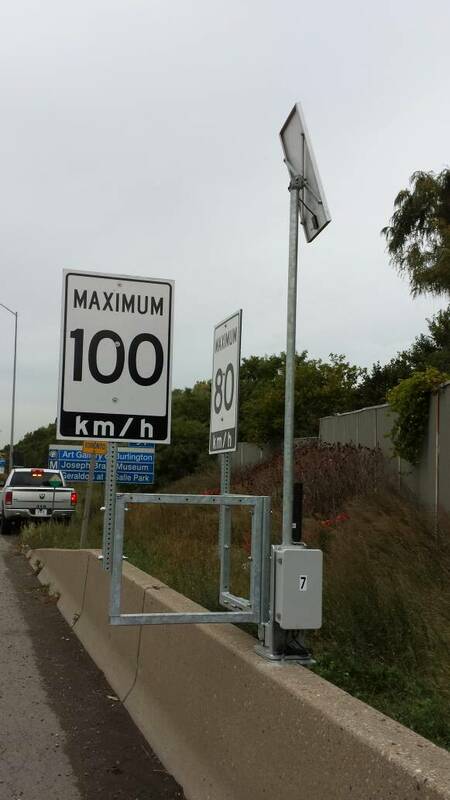 Traffic engineers from MMM Group suggested the use of Automated Warning Signs (SwiftSign) as a simple solution to the variable speed limit requirement. Automated Warning gates (SwiftGate) were also suggested as the lane closure solution for the duration of the project. In total, 5 SwiftSigns and 43 SwiftGates were installed on the approaches and on the bridge itself. All SwiftSigns and SwiftGates were activated and monitored using a handheld remote control. All sign and gate modules were solar powered which allowed for a quick and easy installation.